Noel Y. D. Mau, 51, beloved son and brother, devoted husband and doting father, passed away peacefully on Friday, June 15, 2018. He was born in Honolulu, December 27, 1966, the youngest son of Harry K. F. Mau and Mary Ann Mau. 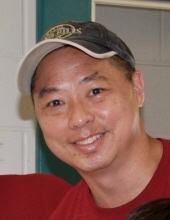 After graduating from Farrington High School and the University of Hawaii, Noel worked for several companies before joining First Hawaiian Bank. He enjoyed working with clients all around the state, earning their respect and friendship. He was also an avid Barbershop singer, performing with Honolulu’s Sounds of Aloha Chorus for 18 years and traveling with the chorus and his quartets throughout the country and to Japan. Noel married Wiwik Bunjamin-Mau in 2004 and they soon became the loving parents of a son, Sydney Mau. After going through treatments for several months, he spent the last precious days with family and friends in his home in Kalihi Valley, Hawaii. Heʻs also survived by his sisters, Carol Barretto, Judy Naumu, Jane Pang (hanai), and his brothers, Russell and Rex Mau. The celebration of Noelʻs life will be held at the Nuuanu Mortuary chapel on Friday, July 13, 2018. Visitation starts at 9:30 am, with a service to follow at 10:00 am. To send flowers or a remembrance gift to the family of Noel Y. D. Mau, please visit our Tribute Store. "Email Address" would like to share the life celebration of Noel Y. D. Mau. Click on the "link" to go to share a favorite memory or leave a condolence message for the family.